Description After the testicle has been removed, a pathologist examines the tissue under a microscope to determine what kinds of cancer are present. The pathologist is a doctor trained in the diagnosis of diseases. 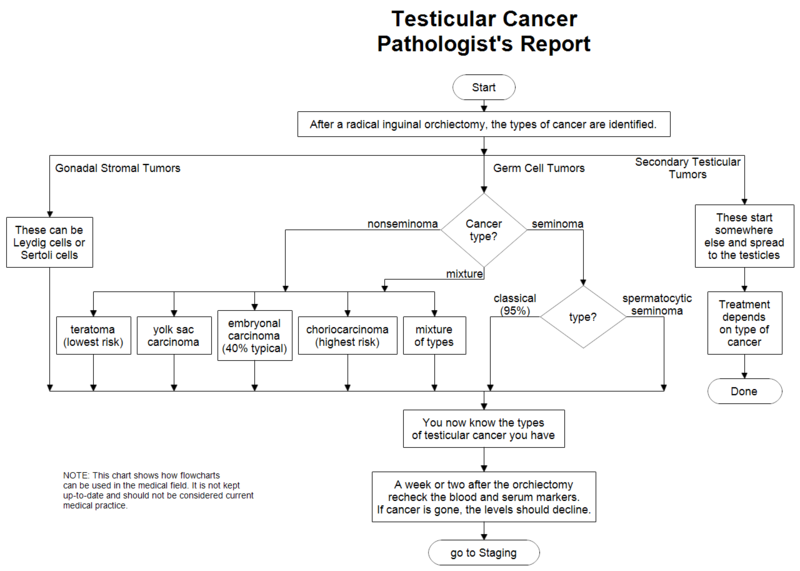 There are several types of cells associated with testicular cancer. Which cells are present is important in choosing the correct treatment. Once RFFlow is installed, you can open the above chart in RFFlow by clicking on pathologist-report.flo. From there you can zoom in, edit, and print this sample chart. It is often easier to modify an existing chart than to draw it from scratch.